Mr. LU Genzhang is a National Actor of the First (highest possible) Rank, a lifetime position, and an Emeritus Leading Actor with the Jiangsu Province Jingju Company, where he was a leading actor of laosheng (older male) roles from 1969-2002, and served as Director of the company’s Number One Troupe during the 1990s. He has been elected a lifetime member of both the Jiangsu Theatre Artists Association and the prestigious national Chinese Theatre Artists Association. Mr. Lu has received major national and provincial awards for his performances in both traditional and modern Jingju plays, as well as for his acting in television and film, and has been featured as a leading actor on performance tours to Hong Kong and other cities in Asia. In addition to his performance work, Mr. Lu is also an experienced teacher of Jingju performance. A Senior Teacher with the company’s Jiangsu Province Program for Promoting Jingju Appreciation in Education since 1998, he also regularly coaches young actors at his own and other Jingju companies in China, and he has trained University of Hawai‘i students to perform six Jingju plays to date: Shajiabang—Spark Amid the Reeds in 1993-94, Silang Tan Mu—Love and Loyalty in 1997-98, Judge Bao and the Case of Qin Xianglian in 2001-2002, Women Generals of the Yang Family in 2005-2006, The White Snake in 2009-2010, and Lady Mu and the Yang Family Generals (Mu Guiying Guashuai) in 2013-2014. This academic year, Mr. Lu is teaching acting, movement, and voice for all the male-voice roles in the two Jingju plays Treasure in the Chest (Gui Zhong Yuan) and Where Three Roads Meet (San Cha Kou). Mr. XU Mingchi is a National Actor of the First (highest possible) Rank, a lifetime position, and a Leading Actor with the Chuanju (Sichuan “opera”) Company, where he was a leading actor of Chou (comic male) roles. Mr. Xu has received major national and provincial awards for his performances in both traditional and modern Chuanju plays, as well as for his acting in television and film, and has been featured as a leading actor on performance tours to Germany and Japan, as well as Hong Kong and other cities in Asia. In addition to his performance work, Mr. Xu is also an experienced teacher of Chuanju performance. A Senior Teacher with the Art Vocational College of Sichuan and a member of the Chuanju Academic Committee for Promoting Chuanju Appreciation in Education since 1967, he also regularly coaches young actors at his own and other Chuanju companies in China. This academic year, Mr. Xu will be teaching acting, movement, and voice for all the roles in the Chuanju play Pi Jin Gun Deng. Ms. ZHANG Ling is a National Actor of the First (highest possible) Rank, a lifetime position, and an Emeritus Leading Actor with the Jiangsu Province Jingju Company, where she was a leading actor of dan (young female) roles from 1969-2002. 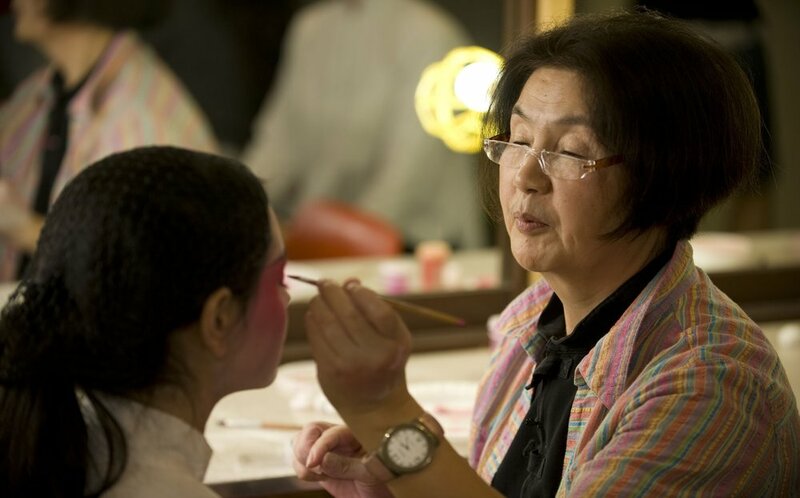 She has been elected a lifetime member of the Jiangsu Theatre Artists Association, has received national and provincial awards for her performances in traditional Jingju plays, and has been featured as a leading actor on performance tours to Australia, Japan, and Taiwan. In addition to her performance work, Ms. Zhang served as Asst. Director of the Number One Troupe of the Jiangsu Province Jingju Company in the 1990s, and is also an experienced teacher of Jingju performance. A Senior Teacher with the company’s Jiangsu Province Program for Promoting Jingju Appreciation in Education since 1998, she also regularly coaches young actors at her own and other Jingju companies in China, and has trained University of Hawai‘i students to perform three Jingju plays to date: Women Generals of the Yang Family in 2005-2006, The White Snake in 2009-2010, and Lady Mu and the Yang Family Generals (Mu Guiying Guashuai) in 2013-2014. This academic year Ms. Zhang is teaching acting, movement, and voice for all the female-voice roles in the two Jingju plays Treasure in the Chest (Gui Zhong Yuan) and Where Three Roads Meet (San Cha Kou). Mr. Zhang Xigui is a National Instrumentalist of the Second (second highest possible) Rank, a lifetime position, and an Emeritus Leading Instrumentalist with the Jiangsu Province Jingju Company, where he served as a conductor and percussionist from 1969-2002; he is also a respected jinghu (two-string spike fiddle) player, and plays frequently for private troupes and associations, such as the Wenhuali Jingju and Kunqu Association of Shanghai. 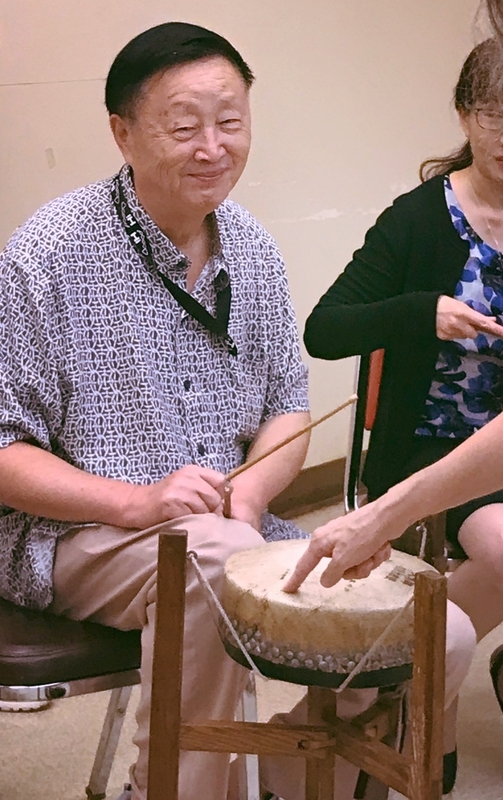 Mr. Zhang has served as a leading instrumentalist for national award winning productions of traditional plays, as well as for performance tours of Australia, Hong Kong, Mexico, Korea, and Japan, and has played by invitation for performances given by Chinese national leaders Jiang Zemin and Zhu Rongji. He has been a Senior Teacher with the company’s Jiangsu Province Program for Promoting Jingju Appreciation in Education since 1998, and has also tutored Jiangsu college students in Jingju instrumental music, several of whom went on to attend the prestigious China Xiqu Academy and have already risen to major national positions. Mr. Zhang has trained University of Hawai‘i students to perform three Jingju plays to date, Women Generals of the Yang Family in 2005-2006, The White Snake in 2009-2010, and Lady Mu and the Yang Family Generals (Mu Guiying Guashuai) 2013-2014. This academic year he is teaching technique and interpretation for all the musical instruments (melodic and percussive) for the two Jingju plays Treasure in the Chest (Gui Zhong Yuan) and Where Three Roads Meet (San Cha Kou). Madam SHEN Xiaomei (pictured on the Left) is a National Actor of the First (highest possible) Rank, a lifetime position, and an Emeritus Principal Actress with the Jiangsu Province Jingju Company. The youngest student of the legendary master performer Mei Lanfang, she has received the highest national Chinese award for cultural and artistic achievement, and has been elected a lifetime member of both the Jiangsu Province Theatre Artists Association and the prestigious Chinese Theatre Artists Association. She holds numerous major national acting awards, an Honorary Doctorate from the University of Hawai‘i, and has toured to great acclaim in Europe, North America, and Asia. Madam Shen is the founding director of the Jiangsu Province program for fostering interest in and appreciation of Jingju in the schools, and is also an experienced teacher. She taught the performance of both modern and traditional Jingju at the Jiangsu Province Academy of Chinese Theatre from 1967 to 1981, regularly provides master classes and personal training for advanced acting students and young professionals, and has trained University of Hawai‘i students to perform three Jingju plays: Yu Tangchun, The Jade Hall of Spring in 1989-90, Shajiabang—Spark Amid the Reeds in 1993-94, and Silang Tan Mu—Love and Loyalty in 1997-98. Madam Shen provided overall artistic supervision for Judge Bao and the Case of Qin Xianglian in 2001-2002, and Yang Men Nü Jiang—Women Generals of the Yang Family in 2005-2006, The White Snake in 2009-10, Lady Mu and the Yang Family Generals in 2013-14, and is now doing so for the 2017-18 Jingju Resident Training Program.